After 22 horses died on the track at Santa Anita Park within a couple of months, the park’s owner, The Stronach Group (TSG), suspended racing there and took some positive steps by introducing new safety initiatives. Beginning next year, drugging horses with the powerful diuretic Lasix will no longer be allowed at Santa Anita on race day. This performance-enhancing drug can mask existing injuries in horses when veterinarians examine them before racing. Many horses who have suffered catastrophic injuries on the track had injuries for which they’d been given Lasix and other medications, so they could continue to race. How many? Of the 36 horses that died at Santa Anita from December 2017 to December 2018, 88 percent were on diuretics and other medications. TSG also banned the use of crops at Santa Anita except as a corrective safety measure. Some former jockeys say whipping horses is cruel and ineffective. But following these promising steps forward, TSG took a huge leap backward by reopening the track for racing before it had been determined what caused those catastrophic injuries in nearly two dozen horses, and while all those deaths were still under investigation by the Los Angeles County District Attorney’s Office. TSG said experts had evaluated the track and determined it was safe. Two days after the track reopened, the death toll rose to 23 when a horse named Arms Runner was euthanized after he fell during a race and suffered a catastrophic injury to his right front leg. TSG insists their top priority is the safety of the horses and jockeys. If that’s true, then why did they reopen the track so soon and then reopen it again after a 23rd death horse died? This makes it seem like their top priority is really the profits they make from those horses and jockeys. More than 88,000 people have signed a Care2 petition calling for Santa Anita to be shut down permanently. 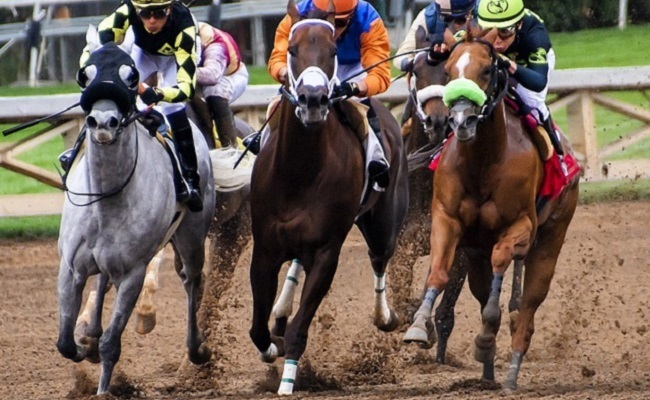 California Sen. Dianne Feinstein sent a letter to the California Horse Racing Board (CHRB), a government group that ensures the safety of the state’s industry, asking that racing be suspended at Santa Anita. “The death of a single horse is a tragedy, but as a lifelong lover of horses, I’m appalled that almost two dozen horses have died in just four months,” Feinstein wrote. Fortunately, a bill has just been introduced in the California legislature that could save the lives of horses racing at Santa Anita and other tracks in the state. SB 469 will allow the CHRB to take immediate action and suspend a track’s license in order to protect the health and safety of horses and jockeys. The suspension will remain in effect until the licensee complies with additional safety standards and other CHRB requirements and the board determines that the track as adequately addressed the issues jeopardizing the horses or riders. As a government body, the CHRB is required under California’s Bagley-Keene Open Meeting Act to post a public notice 10 days in advance of a meeting. But 10 days is too long a time when racehorses’ lives are at stake, so SB 469 would waive this requirement. Hopefully SB 469 will race through the legislature to the finish line—Governor Gavin Newsom’s desk. And here’s wishing the same good luck to the Horseracing Integrity Act, which was reintroduced to Congress the same day the 22nd horse lost her life at Santa Anita. This act would protect racehorses nationwide by creating a much-needed uniform national standard for drug testing. Please sign and share this petition asking California lawmakers to pass SB 469 to help save the lives of racehorses. To protect racehorses nationwide, sign and share this petition urging Congress members pass the Horseracing Integrity Act (H.R. 1754). Join over 88,000 people who have signed this petition asking Santa Anita Park to close for good. No drugs, no laxatives, how could they be so stupid and cruel as to use these? Especially on a race day?